So this will be the first of a series of monthly post just briefly summarizing what I’ve been up to throughout the month. March was a bit slow, I wasn’t as active as I would’ve liked to be, especially presence-wise. Being at a stand-still with Protoshift at the moment, mostly trying to decide what music I want to incorporate and how to shape the levels around that, so I took up two different incentive programs regarding the Amazon App Store; the Build a Game Challenge by Scirra and the Fire Phone Giveaway by Amazon. I planned to put two games on there, but the second one was something I was already developing, and I didn’t want to rush the release of that for $20. I did manage to complete an admittedly less exciting game, circle dodge, however. This served more of a practice in working with getting API, ads, and in app purchases working, the latter two I still haven’t got up and running. They ended taking much longer than the actual game itself, as the game-play is incredibly simple. 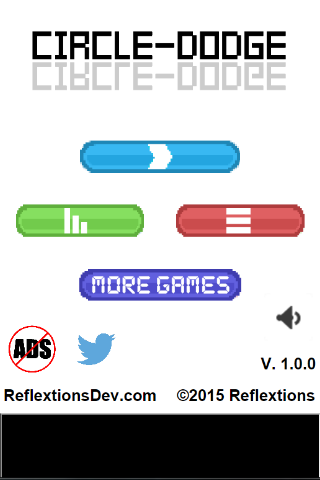 Nevertheless, circle dodge will work great as a prototype when I want to get familiar with more storefronts and market places, namely Tizen, Windows 8, and Google Play, and that will allow me to get some of my bigger games on there a lot smoother once I’m ready. I also went through like 20 iterations of the menu to make it be less bland (notice the black box where the ads I still haven’t gotten working should be). Though making a game where you can shoot zombies into bits has always been a dream of mine, I’ll have to put that on the back-burner, as I’m entering the Protoshift Beta (Sign Up!). Check out them zombie pixel blood physics. Ultimately, I’m glad I got something done, though I’m disappointed I didn’t do anything with my spring break. It’s pretty cool to be able to search for you own product on Amazon though. Moving forward, I think this is a good start to April, time to get into a habit of this. I really just want to see Protoshift on steam, but it’s not something I want to rush and screw up.